Various free training courses have been designed to enable businesses to “crack” overseas markets digitally. Part-funded by the European Commission’s European Regional Development Fund and the UK’s Department for International Trade, courses are to be managed by two North East firms. This includes Joanna Wake from Stockton’s RAW Digital Training, and Steven Parker, managing director of Digital Allies in Houghton-le- Spring. Karen Berry, partnership manager at the Department for International Trade, said: “We have already delivered a number of these courses which have proved hugely successful, and all attendees have taken away new skills they can take into their business. “The courses are due to finish in mid-February, but there’s still an opportunity to access six courses scheduled over the next few weeks, and we’d urge all businesses who either already export or are looking to export their goods or services to take a look. 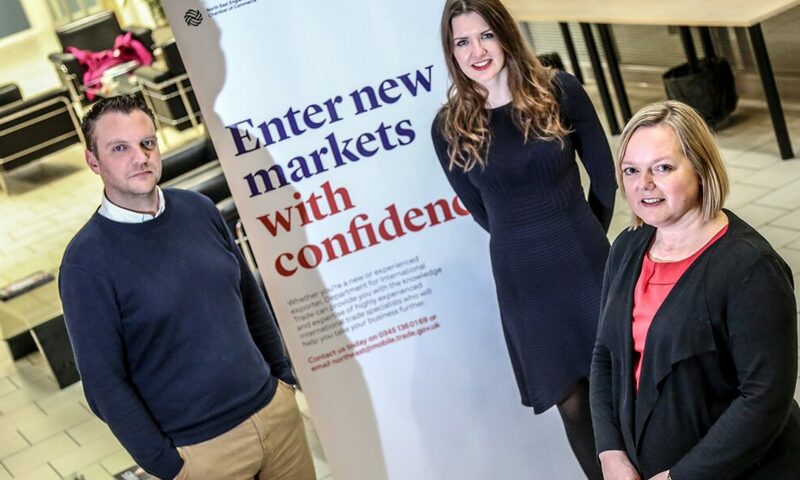 Businesses with a base in County Durham are eligible to access the free courses, which are targeted towards firms interested in exporting now or in the future, but they’re running for a limited time. The masterclass subjects cover areas including social media, YouTube for business, e-commerce for international sales, how to plan your digital ROI and working with agencies. Wake added: “It’s about giving those who have the capacity some extra skill sets, and make them aware of the power of what can be achieved. “You can learn a lot, but you can see your potential new markets without travelling the world. And you don’t have a lot to lose by exploring worldwide markets digitally.